Observation - Lizard - UK and Ireland. Description: I saw this lizard scuttle across the path and just managed to block its route with my map. I was surprisingly easy to catch. 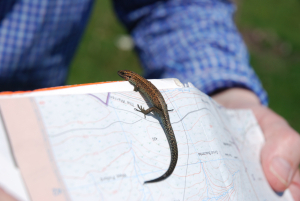 I saw this lizard scuttle across the path and just managed to block its route with my map. I was surprisingly easy to catch.